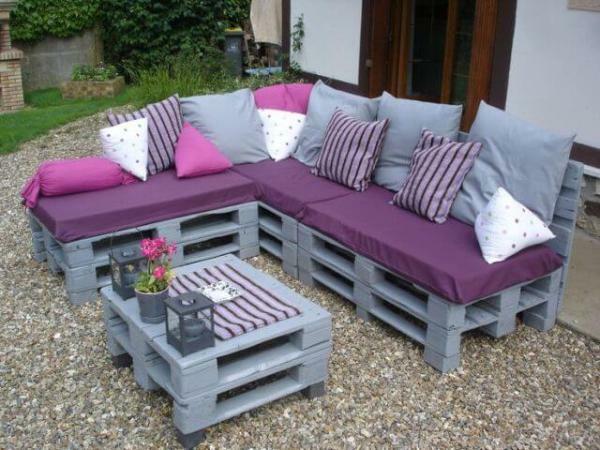 You must have noticed that if you go to parks or any amusing place there are benches available, those benches are made of pallets. 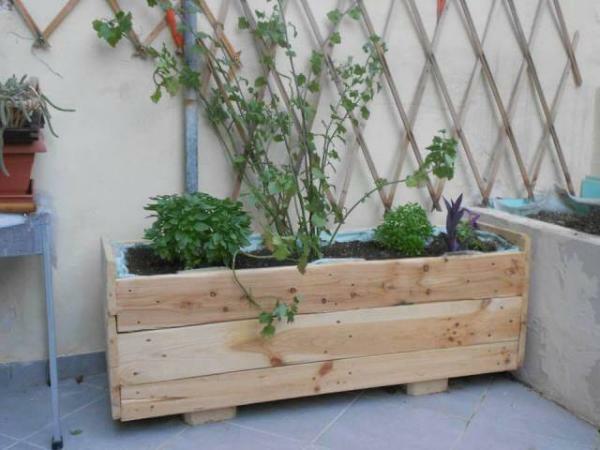 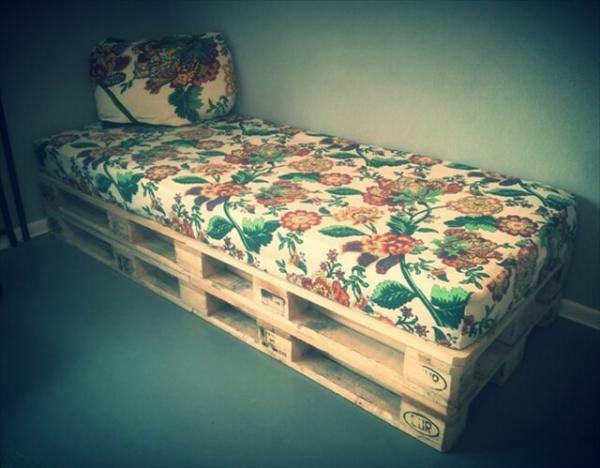 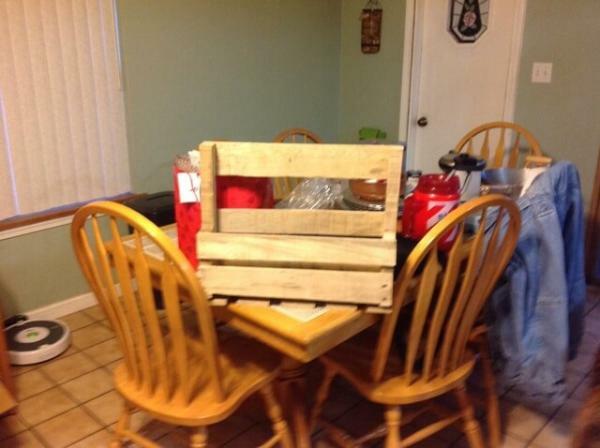 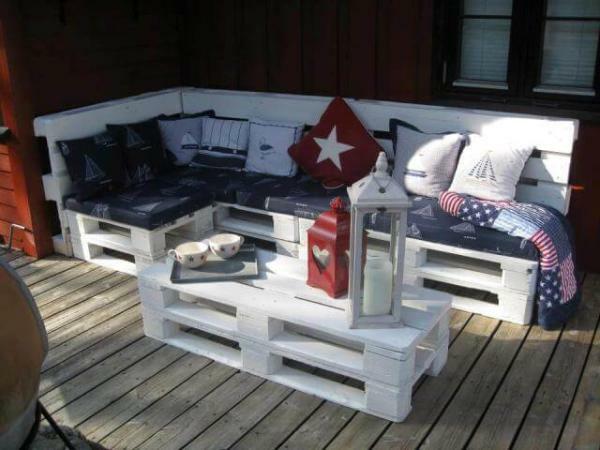 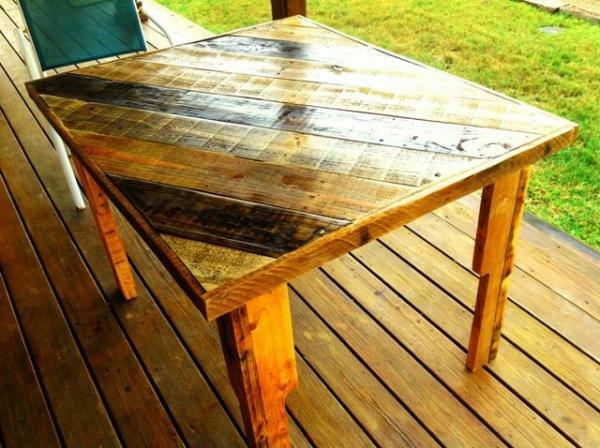 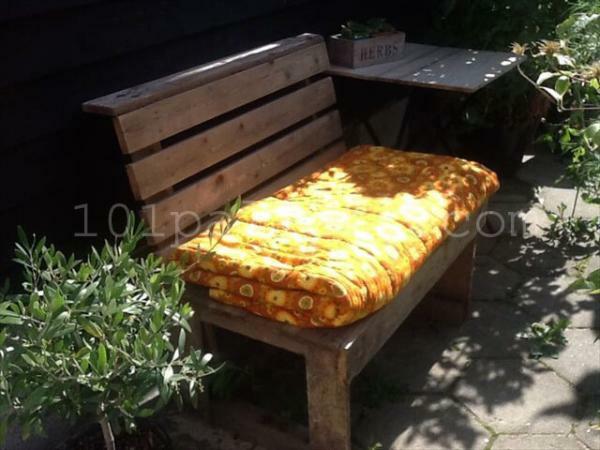 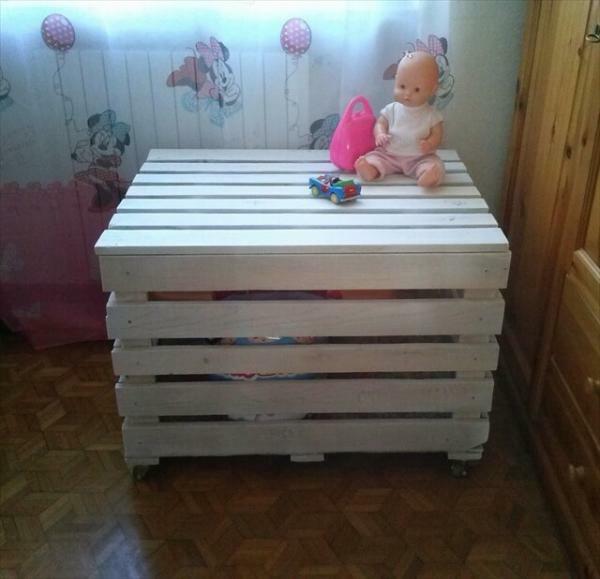 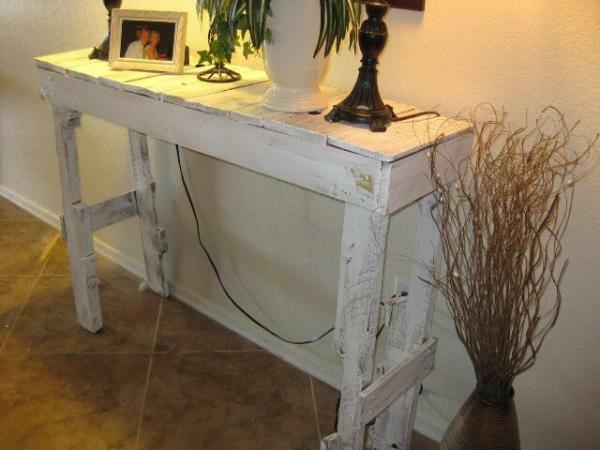 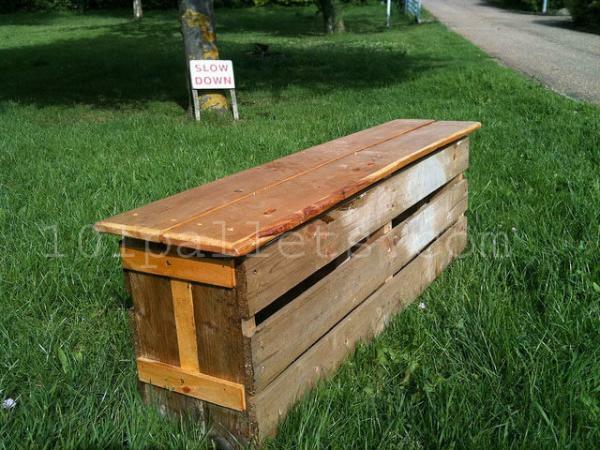 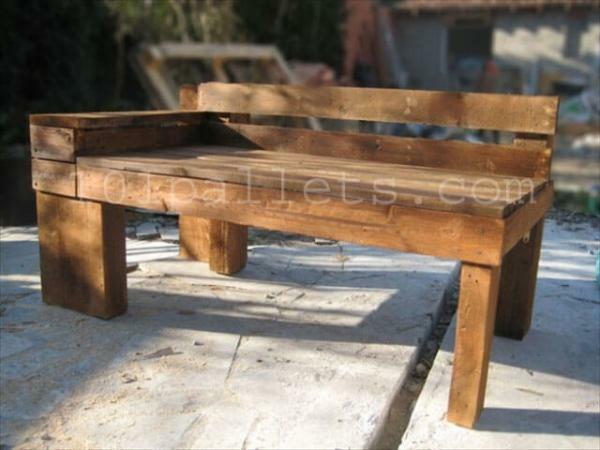 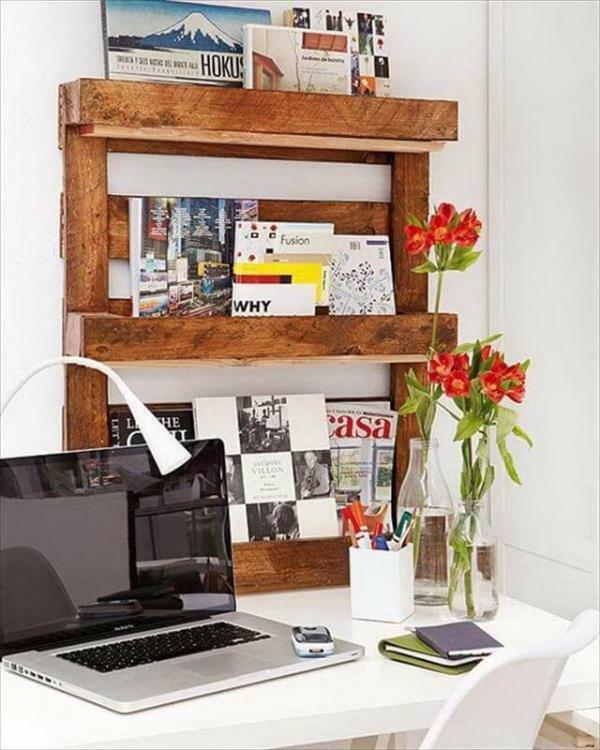 They are inexpensive to make and look great in such places to sit on them for a while to rest. 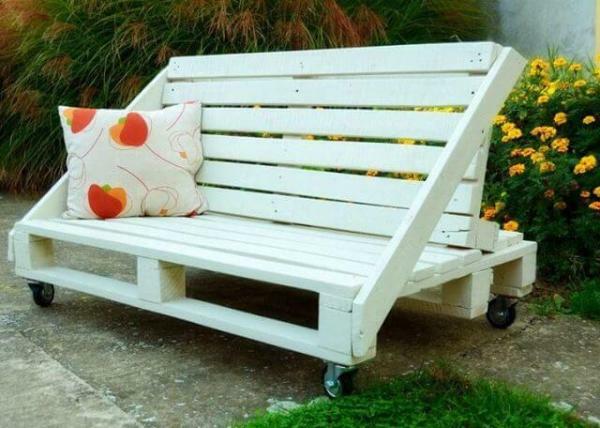 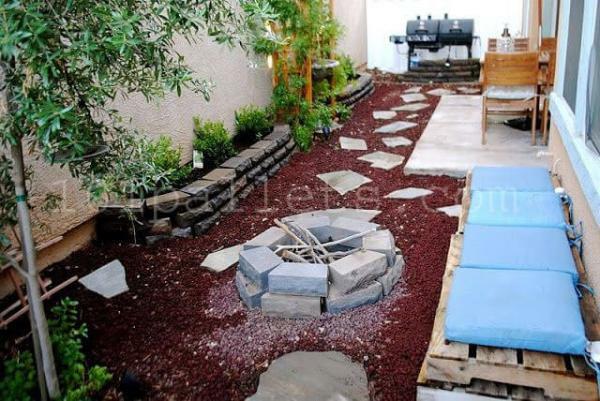 I wanted to build a bench for my back lawn so that I can enjoy the time there with my kids and my husband on the weekends. 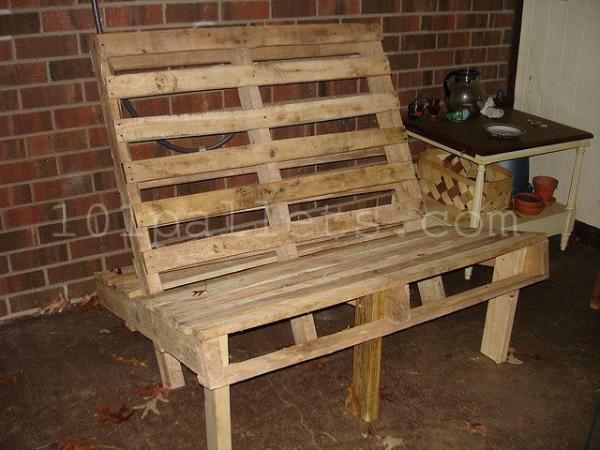 My husband and I decided to collect the pallets from the warehouses and decided to build a bench together. 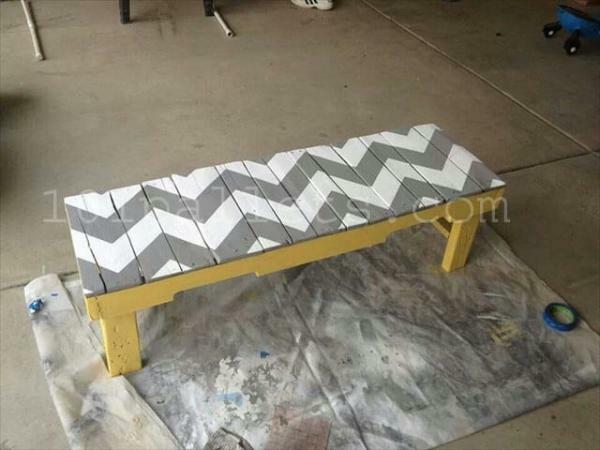 We followed the guidance we caught from the internet and it turned out to be a great bench for my house lawn. 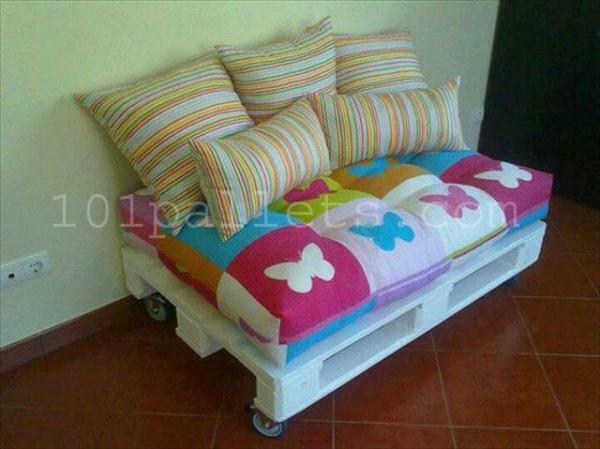 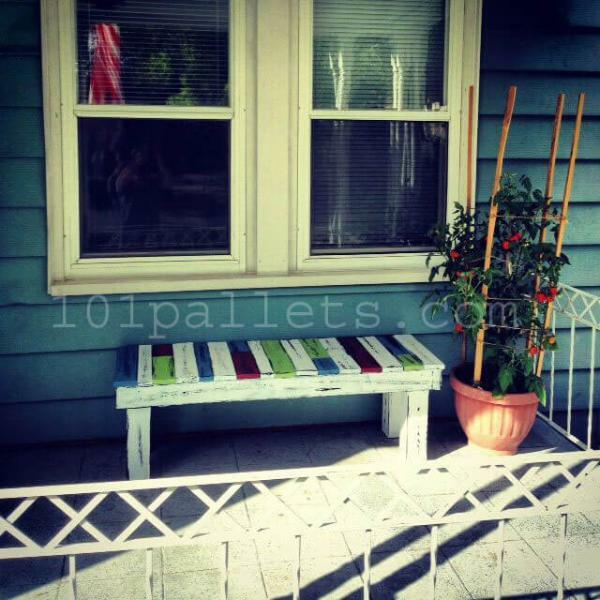 You can also place the bench on the deck; I decided to make it colorful so that it looks creative and attractive. 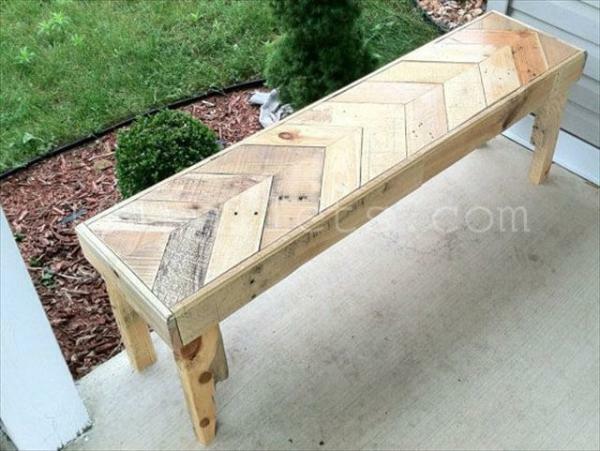 During the daylight the bench looks awesome and you literally feel like sitting on it enjoying the evening.